Our recent poetry competition centred on the theme of diversity is now closed. Winners will be announced in March 2019. This year's competition is now closed. Thank you to all those who entered. We thoroughly enjoyed reading every poem! This year we wanted your pupils to write poems based on the theme of diversity, using inspiration from the poem written specially for Premier League Writing Stars, Beautifully different, Wonderfully the same by Joseph Coelho. The poem and subject encourage us to think of ways to celebrate similarities and differences that bring us together, and these are themes that ran through this programme. The competition was open from Tuesday 9 October 2018 until the end of the autumn term – Friday 21 December 2018. Poems will be judged in two age categories – one for pupils in Key Stage 1 and one for those in Key Stage 2 – and two language categories – English and Welsh. Individual or group entries were allowed for Key Stage 1, only individual entries for Key Stage 2. Poems entered could be no more than 20 lines or 150 words and should be on the theme of diversity. Pupils could continue the Beautifully different, Wonderfully the same poem or start a new poem. Poems could be of any structure and didn’t have to rhyme. As part of the resource packs, we included poem entry activity sheets which pupils must use for their final poem entries. Teachers need to be registered for Premier League Primary Stars to have entered their pupils’ work for the competition. In March 2019, we'll be in touch with all schools that have entered to let them know if they are one of the winners. Download a Welsh language copy of the poster here. Watch the video below to hear the poem read aloud by an all-star cast! There will be a top overall prize and 10 prizes for each category (Key Stage 1 and Key Stage 2) in each area. There will also be prizes for the best entries in the Welsh language at Key Stage 1 and Key Stage 2. There are also some brilliant bags full to the brim with poetry books for the first 1000 schools who submitted entries! Poetry – figurative speech and devices to build a picture in the reader’s mind in a creative and effective way. For example, alliteration, simile, metaphor, hyperbole, personification, symbolism. Elements of poetry – words chosen for effect, a sense of structure, clever use of rhythm, purposeful use of rhyme, (although not all poems have to rhyme). Effect – does the poem celebrate diversity? Do you understand what is important about diversity having read this? Originality – does this entry stand out from the rest? Is it original and unique? Appeal – will it appeal to other primary-age pupils? We will judge poems on their creative merits. Primary age children develop their skills in writing, spelling and punctuation as they go through school and poems will not be disqualified for errors in handwriting, spelling or punctuation. However, we would encourage all entrants to proof read their poem carefully and send us their best copy. We created some competition packs developed in partnership with the National Literacy Trust with just the right amount of useful resources, including lesson ideas, poem entry activity sheets, and inspirational videos. Download what you need and get your pupils writing! You need to register to access all the resources - it's free and really quick to do. 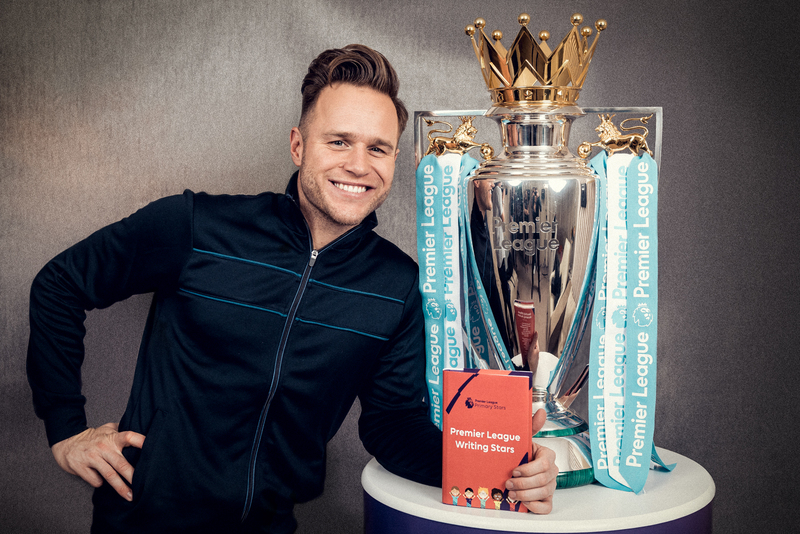 You might also be interested in our other English poetry packs – have a look at our Key Stage 1 resource Matchday Magic and our Premier League Reading Stars resource, Poetry Slam, for pupils in upper Key Stage 2. There is also a Key Stage 2 PSHE pack all about Diversity. Full terms and conditions are available.